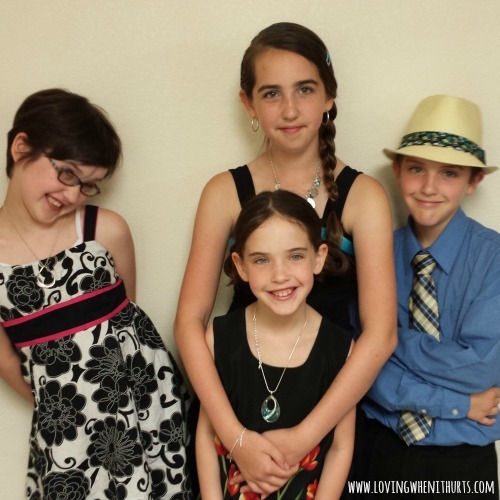 When the kids were younger and I was a stay at home mom, life was extremely difficult. I had three children under the age of three, for what seemed like ten years! I was tired all the time, battling depression, and I yelled. A lot. Truthfully, I still yell. It is a daily battle for me. At that point in my life, especially after adding a fourth toddler in the mix, there was always a lot of guilt cluttering my mind. It is difficult to read the following verse and not focus on our guilt. But we cannot just look at the part where it says God does not excuse the guilty, or how the sins of the parents are laid on their children. We have to look at it this verse in full, and understand a few things. #1. God loves us unconditionally and will forgive ALL our sin. No, he doesn't excuse our guilt, but forgiveness covers us. Jesus' blood covers us and frees of from the guilt of sin. Based on the passage above, it is no surprise that my children yell. Our children are always watching and they usually follow the example that we set. It seems more often than not that, as mothers, we only allow ourselves to see the bad examples that we set, believing that we do nothing good or right. I can't claim to be an expert on Biblical theology, but I believe that the real crux of this concept of children acquiring the sins of the parent is an example of what can happen when we continually give in to sin and live without repenting. If I continually yell, which is motivated by anger or lack of self-control, I am sinning. And my children see this as the way to deal with their problems, and they begin to yell to express their own frustration. If that pattern is not stopped, they will pass it on to their children. It just makes sense. And sometimes I think that we forget that we can still change. If we are doing something that we do not want our children to emulate, we have the ability to change! We have to stop getting stuck in this cycle where we hear the voice that says "You are a failure as a mother and you always will be." It's just not true. Have we made mistakes? Sure. Everybody does. But we do not have to settle for mediocrity. We can choose something better. We can change! Beyond the guilt for mistakes we have made in the past, or may currently make, I think many moms go ahead and pressure themselves and feel the weight of guilt to come. By that I mean that there are so many women (myself included) who perhaps see their children going in a certain direction (or maybe it starts simply with a worry that they will make poor choices), and they go ahead and blame themselves for how their children might turn out. I'll be the first to admit that I wrestle with this. When my daughter bluntly tells me, with tears in her eyes, "Whenever you're not here, I feel like I have a gigantic hole in my heart," how do I take that comment in stride and not let the mom guilt surface? Her comment, made one night last week when I came home late, was born of not seeing me that same morning and going to bed before I got home. It was when I went in to tell her good night that she asked why she never sees me and said that. I wanted to cry, and it set in motion some tension between me and Kris that would take us days to unravel. It's really a very delicate balance. I want to give credence to my child's feelings and do whatever I can to ensure that she feels like I am available to her. At the same time, there are moments when I just cannot be there. This is an area where the mom guilt constantly tries to drag me down. I worry about my kids, and what they will think when they look back on their childhood. Will they look back and feel an overpowering love and contentment? Or will they only remember all the times Kris and I yelled or told them "I'm sorry, but I have to work."? This is my biggest fear regarding the kids and where we are at in our lives right now. We are in no position for me to stay home and depend on just Kris' salary. I cannot be there when the kids get home from school because my hours don't allow for it. Some days, this eats at me. But those are the days when I am listening to the lies. Days when I hear the words "You're a failure as a mother." While I can't confidently say that I am a great mother, I finally understand that I am not a bad mother, and I am doing the best that I can. And what I have to constantly remind myself of is this: my kids are happy, and they know that they are loved. So who am I to pick up guilt for something that may or may not happen? I think it speaks more of trusting in myself than trusting in God. “So don’t worry about these things, saying, ‘What will we eat? What will we drink? What will we wear?’ These things dominate the thoughts of unbelievers, but your heavenly Father already knows all your needs. Seek the Kingdom of God[a] above all else, and live righteously, and he will give you everything you need. It seems pretty cut and dry reading that, doesn't it? All of these fears and worries I have for my children and their future serve no purpose. That doesn't excuse me from being active in my children's lives. I cannot just be lazy and not try to yell less and be more present to my kids. But I also cannot carry around guilt for mistakes I made in the past, or mistakes I think I might make in the future. All I can do is live the best that I can in this present moment. Tomorrow I can get up and worry about tomorrow. Today there is no time to waste listening to lies that say I am a failure. Living in defeat is no way to live. It's time to stop listening to the lie, stop beating myself up for the things I cannot change, and trust that God will continue to mold me into a better mother. And ultimately, HIS opinion is the only one that matters. Wow, that's some serious Mom Guilt. She lays it on thick, doesn't she? Man oh man. I love that you seek comfort in the scriptures. You're a good woman. I think it's normal to think ahead and wonder what your children will say about their childhood. This happens to me a lot since both of my parents are no longer in the mortal world. I often think back to my childhood and look upon it fondly. My mother worked, but in our family, that's just the way it was. Mom's worked. It's not until me that Mom's stay at home (a really new thing to both my husband and I). My Mother provided greatly for my sister and I. There is nothing I could say to do justice. Every good experience had her in it. She also helped me through each and every not so good experience. That's what being a Mom is about - I think. Being there emotionally. Nobody is with you 100% of the time. Frankly, your kids are older. You got them through the young period, and now it's time for Mom to go out and make a life for herself. I think that is important. I will also do the same. I want to be a person too - because I am a person. This life is so very short. I love when you said we all do the best we can . So true, my friend. 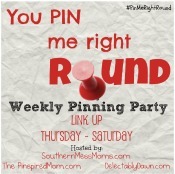 Thank you so much for linking up with us at Mommy MOnday. i will follow you via g+, bloglovin, facebook, twitter and pinterest. I think my memories of childhood are the exact opposite of yours. I think that is one reason why I want so badly for my kids to look back and remember the good, you know? But I can't control their minds and feelings. I just have to keep doing what God has called me to. Beautifully said. I can totally relate. I can think of less than one percent of times that I've yelled that it wasn't driven by sin in my heart. God is so faithful though! BTW I added your button to my blog. ;) Blessings! Except for anxiety over trying to stop one of the kids from hurting themselves, my yelling is totally motivated by sin in my heart. Thanks for reading and for adding my button! 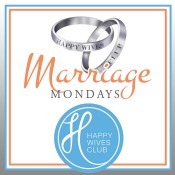 Totally motivated by sin in my heart...and my not loving God enough to love my kids or my husband before myself. 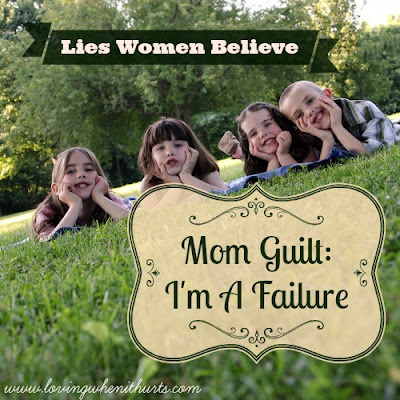 But speaking to mommy guilt as one who now has an empty nest...I think it comes with the territory whether we seem to be perfect moms or much less than. 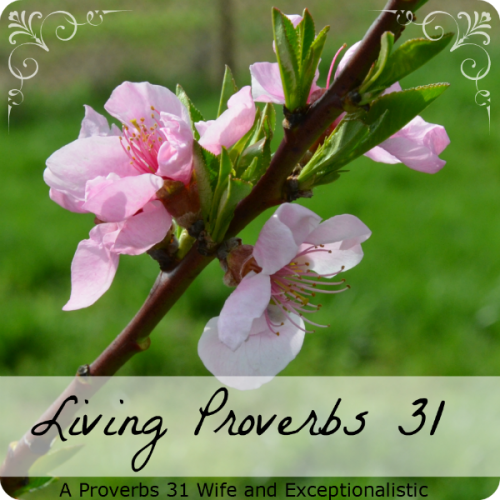 We all love our kids so much, wanting what's best for them, but we ourselves often have broken little kid hearts inside that sometimes take precedence over self control and honoring God with our words or actions. And then comes Grace...flowing from the blood of Jesus, setting us free from self imposed condemnation and the enemies lies. And giving us hope to do better tomorrow and giving us peace that our Father in heaven loves and takes care of our kids better than we ever could, No. Matter. What...Thanks for letting me share and thanks for this insightful, honest post.